"I liked the way the other was delivered on time as promised. The hamper in India was exactly the same as ordered but in international delivery it was not exactly same, specially bouquet. It will be better if it is." "Very pleasant experience, look forward to interacting with FNP again :)"
"Along with flowers there must be other things to be gifted i.e. balloons for kidsand toys too." Life is not only about the 9-5 jobs, running after your kids, or clearing confusion with your significant others! Although these mentioned things are part and parcel of life which you simply cannot leave. But apart from these regular activities, there are some days in the 365 days calendar that bring much joy to hearts. These days are a bit different from the regular days and are called “special occasion” or “festival”. These special days definitely demand a nice gift. The world of gifts is surely a vast one but nothing seems to compete with the flawless beauty of flowers. Flowers are perhaps the oldest gift types in world history. So, when you have your friends and relatives in London, you can greet them on special occasions with flowers. 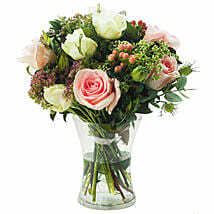 So, simply send flowers to London UK and make them happier. Valentine’s Day (14th February): Valentine’s Day is the day of love and perhaps need no special introduction. This is the day to express your heartfelt love for the special person in your life. Pick up the bouquet of red roses or mixed color roses to say those magical words of love. St. David’s Day (1st March): Those living in Wales & Welsh celebrate this day as a tribute to St. David. Some people pin a daffodil or leek to their clothes as a token of respect. People generally feast together and thus you must greet your loved ones by sending lovely flowers to them. Shrove Tuesday or Pancake Day (5th March): Shrove Tuesday is also known as Pancake Day and is observed on the day before Lent begins. In today’s time, there are fewer people who fast on this day and instead choose to have minimal food and as pancakes are made with minimal ingredients – it is preferred. So, along with yummy pancakes, you can also add more cheerfulness to this day with flowers. St. Patrick’s Day (17th March): It is a cultural & religious celebration among people in the United Kingdom (UK). People get involved in song, dance, parade, and feast. So, you can bring charming flowers home to decorate the interiors or use them to greet your loved ones. Mother’s Day (31st March): Mother’s Day celebrates motherhood and pays a tribute to the love and dedication of all the mothers. You must definitely not forget to make her feel special on this day. 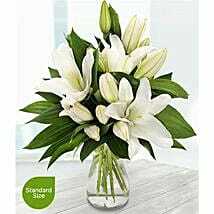 So, send mother’s day flowers to UK like pink carnations or a bouquet of yellow lilies and let her know that she is the best person in this whole world. Father’s Day (21st June): Just like mothers, fathers are equally crucial in the life of the children. This is a day to recognize the contribution of fathers in the life of their children and you should make an effort to let him know that he is special. Explore our range of elegant flowers and greet him on this day. Diwali (27th October): Diwali – the festival of light is celebrated to put an end to all evil powers. On this day people wear bright and new clothes, clean and decorate their home with diyas or candles, and have a great time in the company of friends & relatives and lavish food & desserts. A thrilling bouquet of multi-colored flowers would be a perfect Diwali gift! Hanukkah (22nd December): This is a Jewish festival that commemorates the rededication of the Second Temple in Jerusalem at the time of the Maccabean Revolt against the Seleucid Empire. It is also famously called the festival of lights and in London, a massive menorah is ignited with candles for the Menorah lighting ceremony in Trafalgar Square. So, on this day, greet your Jewish friends and relatives with vibrant flower gifts! Christmas (25th December): This is the “happy birthday” of Jesus Christ and people expect gifts from a fabled Santa Claus. Well, the truth is, the near and dear ones only send Christmas gifts to each other and become a Santa to each other. Keeping the color theme of this festival intact, you can send red and white flowers to your loved ones. New Year (31st December-1st January): An alluring bunch/bouquet/arrangement of roses, lilies, orchids, etc. would be the perfect way to raise a toast to another new year and forgetting the gloom of the yesteryear. Flowers are the symbol of love, care, prosperity, hope, growth, happiness, abundance, beauty, purity, joy, brightness, and good luck. Flowers have been used as a gift since ancient times and until today, this gift type has not lost its glory a bit. Our florists in UK are continuously trying to create something unique with the gorgeous flowers so that it makes your special days memorable. Roses: It is the most famous flower in the world. 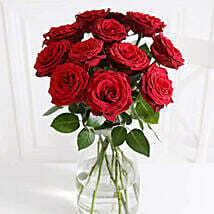 Roses symbolize love, honor, faith, wisdom, courage, balance, beauty, passion, timelessness, sensuality, and romance. 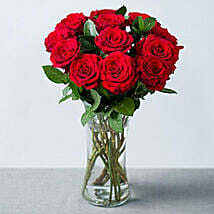 The red roses are for romantic love and must be presented to your significant other. The pink ones refer to “love at first sight” and also works well as a token of appreciation. The yellow ones refer to cheerfulness and friendship. Explore our gorgeous collection of roses to surprise your loved ones. Lilies– the flower with big petals and charming fragrance symbolize royalty, motherhood, fertility, purity, renewal, and youth. 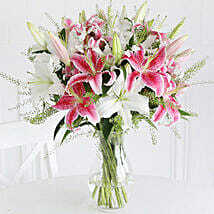 Present the vase arrangement or bunch of lilies in UK to your loved ones when they are starting something new. Orchids: The decorative flower refers to thoughtfulness, refinement, love, beauty, and luxury. To deck up your home for any occasion, this flower is just a perfect one. As a father’s day, New Year, or Christmas gift, you can get orchids. Carnations: It is known as “flower of gods”. In ancient times, carnations were used as a “secret code of love”. Some also believe that as it took birth from the teardrops of Mother Mary, so it is the best mother’s day flower. But it is equally popular as a for a birthday, congratulations, or wedding decoration. Azalea: This delicate flower implies passion, abundance, femininity, wealth, temperance, intelligence, and beauty. 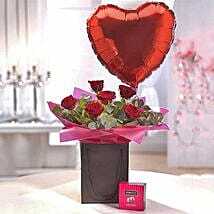 As a gift of love, you can present this flower to express your love for a special person. Tulips: Tulips are one of the most gorgeous flowers in the earth and are immensely popular too. It signifies enduring love, passion, romance, abundance, charity, beauty, and royal bearings. Get this flower in bunches and bouquets for your precious friends and relatives on any special day! Chrysanthemums: Chrysanthemums refer to non-romantic affection, lasting friendship, love for family members, devotion, loyalty, and cheerfulness. This would be a great flower to greet your best buddies! Flower Bunches: Flower bunches look casual and unadorned. Flower Bouquets: Flower bouquets are mostly decorated with colorful paper, jute, raffia, or cloth that adds a perfect glamor to the flowers. Flower Vase Arrangements: Colorful flowers are presented beautifully in vases of various shapes and sizes. These are perfect as home décor items! Flower Basket Arrangements: Cane baskets are used to place the vivacious flowers of various types and colors and are a great gift idea to surprise someone on birthday or anniversary. Flower Tea Pot Arrangements: Flowers in teapots – can it get more creative? 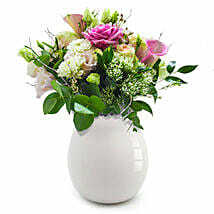 Order this spectacular floral arrangement and elevate the good looks of your home. Flower Box Arrangements: A classic way of proposing romantic love is a single stalk of flower in a sleek box. Order this flower box arrangement to impress your lady love! The appeal of flowers is such that you can gift it to anyone and everyone. 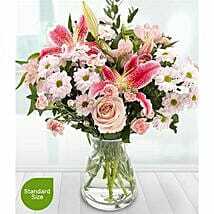 If it is the birthday of your mom, dad, sister, or best friend, then send birthday flowers to UK using our fluent delivery services. As it is a birthday, so, you can add more fun to this special day by ordering a flower & cake combo. Lilies, carnations, or tulips would be great for this occasion. If you have to greet your partner on your anniversary, then send anniversary flower to UK after exploring our astonishing collection of flowers like the heart-shaped arrangement of red roses or simple bouquets of red roses. Opting for a flower & chocolate combo would be another nice idea. 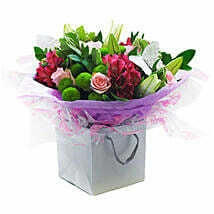 So, when you have a special occasion coming up in UK, all you need to do is get flower delivery UK. 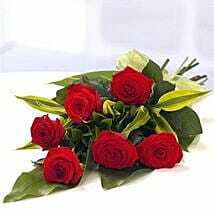 Why To Choose Ferns N Petals For Flower Delivery In UK? Varied Collection of Flowers: There are more than hundreds of types of floral gifts here on our website. It is a reason enough to choose us because you won’t get this variety anywhere else. World-Class Quality: You will find the beautiful flowers in 100% fresh quality. We never compromise on the quality. Guaranteed Delivery On Time: We assure you a timely delivery all over the UK like London, Manchester, Edinburg, Liverpool, Bristol, Oxford, Nottingham, Birmingham, Glasgow, Cambridge, etc. Special Delivery Services: Our same-day and next day delivery services are there to make your surprise plan a smooth one. Amiable Customer Service Team: Our customer care team is always there to resolve all your issues regarding delivery. You can contact us at our toll-free number. Market Value: We, Ferns N Petals are a company that’s active for the last 25 years and this tenure speaks a lot about the reliability and credibility of our brand. 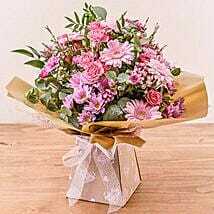 So, whenever you have to send Flowers to UK From India, simply connect with us and maximize your love & happiness. 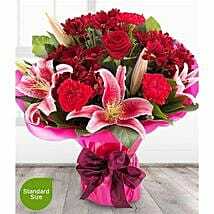 We Cover all Areas to deliver Flowers in UK, However, following are Major Deliverable Cities in United Kingdom.